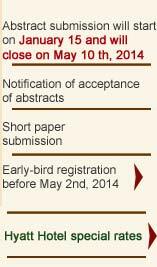 The 30th IUGG Conference on Mathematical Geophysics will be held in Merida, Yucatan, Mexico, from 2 to 6 June 2014. 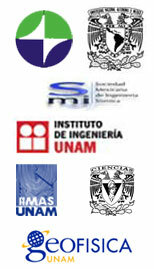 It is organized by the National Autonomous University of Mexico (UNAM) in honors of Professor Ismael Herrera. 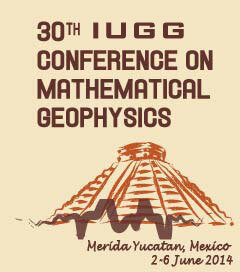 IUGG conferences on mathematical geophysics are premier scientific meetings of the Union Commission on Mathematical Geophysics of the International Union of Geodesy and Geophysics (IUGG; www.iugg.org). The aim of the commission is to encourage exchange of ideas and information in all areas of geophysics, with emphasis on the application of mathematics, statistics and computer science to geophysical problems, and to promote the development and application of mathematical methods and appropriate theoretical techniques for the solution of problems across the complete spectrum of geophysical disciplines. The earliest incarnation of the present CMG Committee was as the Working Group on Geophysical Theory and Computers (WGGTC), which was founded by Vladimir Keilis-Borok The first conference of the WGGTC was held in Moscow and Leningrad in 1964 and the last in Moscow in 1971 with intervening meetings held once yearly. Subsequent to 1971 the group was re-structured as the present Commission on Mathematical Geophysics, which has met on a semi-annual basis since that time, beginning with a meeting in Banff (Canada) in 1972. The schedule since 1986 has included the following sequence of major CMG sponsored conferences: Oosterbeek (The Netherlands, 1986), Blanes (Spain, 1988), Jerusalem (Israel, 1990), Taxco (Mexico, 1992), Villefranche (France, 1994), Santa Fe (USA, 1996), Cambridge (UK, 1998), Villefranche sur Mer (France, 2000), Torino (Italy, 2002), New York (USA, 2004), Sea of Galilee (Israel, 2006), Svalbard (Norway, 2008), Pisa (Italy, 2010), and Edinburgh (UK, 2012). A special session in memory of Professor V. Keilis-Borok (1921-2013), a founder of the commission and President of IUGG (1987-1991), will be organized during the conference. ©Todos los derechos reservados UNAM 2011. Esta página puede ser reproducida con fines no lucrativos, siempre y cuando no se mutile, se cite la fuente completa y su dirección electrónica. De otra forma requiere permiso previo por escrito de la institución.